A crazy sprint in the middle of a marathon would leave anyone gasping for oxygen. It’s not sustainable. Go too fast and there’s a risk of real burnout. Then again, go too slowly and there’s the risk of a competitor catching up and taking away your lead. Sound familiar? Companies are always in the turbulence of growth, whether they’re chasing after it or striving to complete a mega transaction, like an IPO. And CFOs are at the helm of it all. On top of all the roles that they already take on at their company, finance chiefs are also guiding the velocity. Are they deploying the right amount of resources, or are they expending them much too quickly? Thoughtful growth is the secret. Cash flow: Finance organizations can’t afford to look away for a minute. Literally. In RoseRyan’s latest intelligence report, A CFO guide for managing resources, Stephen relays the tough squeeze one company fell into when it lost a grip on its cash position. Sounds unbelievable, but it does happen, and it can sink the ship. 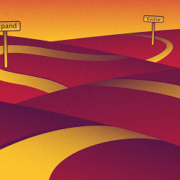 Growth strategy: The pace of growth is not always something the company can control, but a realistic forecast and deliberate path should be developed—wild guesses have no place here. Talent: It’s about timing and understanding that you get what you pay for—even with people. That includes knowing when hiring junior-level employees does or does not make sense. Having the wrong mix of people may actually cost the company more over time. And today’s world is all about outsourcing. Know when to bring in the ninja team to get things done in a tough, overflow situation. Upgrading systems: Get a sense of when the company has outgrown processes and systems (QuickBooks can be awesome as a small-business accounting program but an upgrade will be needed when the company has the public markets in its sights). Are the systems in place scalable and appropriate for the company’s size and complexity? If not, it might be time for an upgrade. Managing resources well is an ongoing effort. No matter what size company or how fast you are growing, the same essential best practices will help you to stay in control of your financial situation. Be the steady hand at the helm. Along the way, don’t hesitate to lean on trusted advisors who can help you over the finish line. Is your company galloping ahead without a well-centered plan? Or are you too conservative in your spending approach? To understand growth path considerations, check out A CFO guide for managing resources.